I am not big on awards. As a wildlife photographer, here is my pick. 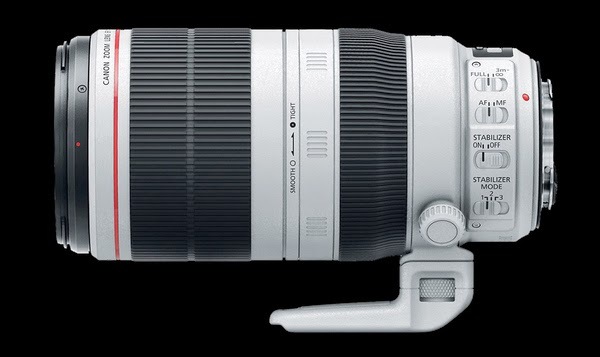 I would classify the EOS-7D Mk II as the best APS-C camera value, EF 100-400mm f/4.5-5.6L IS II as the best 'L' zoom lens, EF 400mm f/4 DO IS II as the best, handholdable Super Telephoto lens and the EF 200-400mm f/4L IS 1.4x as the best Super Telephoto zoom lens for wildlife photography. Read my comprehensive reviews by clicking on their links above. TOKYO, April 9, 2015 - Canon camera products were honored with four “Best Photo and Imaging Product” awards by the Technical Image Press Association (TIPA), representing 27 photo and imaging magazines from 16 countries across five continents. The award-winning products are : the EOS 7D Mk II digital SLR camera, the IXUS 160 (PowerShot ELPH 160 in the Americas) / IXUS 1651 / IXUS 170 (PowerShot ELPH 170 IS) digital compact cameras, the EF 100-400mm f/4.5-5.6L IS II USM super-telephoto zoom lens, and the EF 11-24mm f/4L USM ultra-wide-angle zoom lens. This year marks Canon’s 21st consecutive year as a TIPA award recipient. 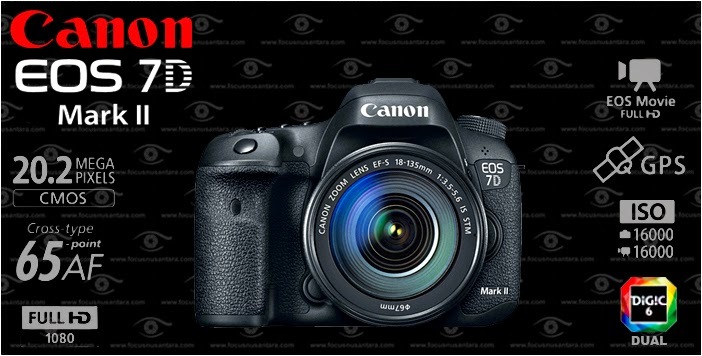 Selected for this year’s “Best DSLR Expert” award, Canon’s APS-C-size flagship-model EOS 7D Mark II offers impressive specifications that, according to the TIPA jury, “appeal to photographers who know what a DSLR is capable of delivering.” The camera is equipped with an approximately 20.2-megapixel CMOS sensor and Canon’s Dual DIGIC 6 image processors, all housed within a weather- and dust-resistant magnesium alloy body. In addition to realizing a fast continuous shooting speed of 10 frames per second, the EOS 7D Mark II employs a 65-point (all cross type) AF system and viewfinder providing an approximately 100 percent field of view. The jury highlighted such “exciting” features as HDR (High Dynamic Range)3 and Multiple Exposure4 modes, as well as an intervalometer and a bulb timer for long exposure capture. Furthermore, the camera incorporates dual card slots for both SD and CF cards, is capable of capturing smooth, highly responsive Full HD video thanks to its Dual Pixel CMOS AF technology, and is equipped with a dedicated stereo microphone and built-in headphone jack ports. With the introduction of the IXUS 160, IXUS 165 and IXUS 170, the TIPA judges said, “Canon has gone against the tide that supposedly swept away the possibility of new and exciting entrants in [the compact] camera category.” Named “Best Easy Compact Camera,” the three “compact and very affordable” IXUS-series cameras provide both “long-range optical zoom and stunning image quality,” features that, according to the jury, camera phones lack. In particular, the IXUS 170 was recognized for being an “exceptionally slim camera … with a very long-range [12x] optical zoom,” and for employing an approximately 20.0-megapixel image sensor and Intelligent IS, an optical image stabilization system that analyzes camera movement and applies the optimal correction method for shake-free stills and 720p HD video. The judges noted that “users can rely on the Smart AUTO mode,” a function that automatically chooses the optimal camera settings based on the scene being captured. The IXUS 165 also comes with Intelligent IS, while both the IXUS 165 and IXUS 160 each incorporate a 20.0-megapixel image sensor and an 8x optical zoom lens. Winner of the “Best Expert DSLR Zoom Lens” award, the Canon EF100-400mm f/4.5-5.6L IS II USM was designed for full-frame SLR cameras, but is “equally beneficial” for APS-C digital SLR camera users who want to gain even more zoom range. In addition to 4-stop image stabilization and a USM (Ultra-Sonic Motor) delivering fast, near-silent AF performance, the lens employs 21 elements in 16 groups, including fluorite and super UD (ultra-low dispersion) lens elements, making possible “high image quality across the frame.” Furthermore, Canon’s ASC (Air Sphere Coating) technology offers advanced anti-reflective properties to achieve reduced ghosting and flares, while the lens’s nine-bladed circular aperture enables background blur that, according to the TIPA jury, is “smooth” and “impressive.” The judges also focused on the lens’s rear focusing design, with a floating element that “enhances AF speed and ensures uniformity in image quality at all focusing distances.” Other features mentioned by the TIPA jury include the EF100-400mm f/4.5-5.6L IS II USM’s adjustment ring, which enables users to fine-tune the zoom ring’s torque based on user preferences, and an independent-construction tripod mount that can be detached even while the lens is attached to a camera. Earning TIPA’s “Best Professional DSLR Lens” title, the EF11-24mm f/4L USM ultra-wide-angle zoom lens provides users with access to the “widest angle of view yet achieved for a rectilinear full-frame DSLR zoom lens.” In addition to boasting an impressive minimum focal length of 11 mm, the lens makes possible “minimally distorted images throughout its range.” It employs 16 lens elements in 11 groups, and incorporates four aspherical lens elements that help “minimize distortion from the center to the frame edge,” as well as an optical array that “provides straight lines with minimal curvature throughout the entire [zoom] range.” The lens also features super UD and UD lens elements that, according to the TIPA jury, “significantly reduce chromatic aberration,” as well as Canon’s SWC coating to reduce flare and ghosting. The EF11-24mm f/4L USM offers a body design that is “well sealed for dust and water resistance,” and allows for manual focusing even when in AF mode. Held every year since 1991, the TIPA Awards recognize the best photo and imaging products announced during the previous 12 months based on such criteria as innovativeness, use of leading-edge technologies, design, and ease of use. In 1992, Canon took home its first TIPA accolade for the EOS 100 SLR camera and, over 23 separate occasions since then, has been honored with TIPA awards for a total of 73 products and technologies. I just love the combo of the 7DmkII and the 100-400mm mk II! That makes both of us, Ricky. For me, it's worth the wait for 4 and 15 years respectively for both replacements.